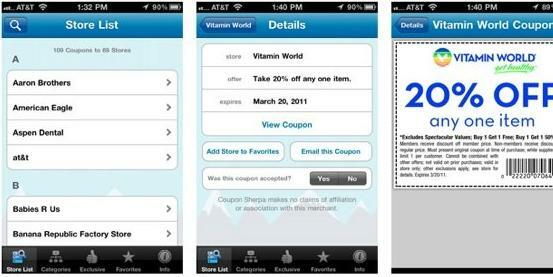 Not long ago I was bragging about the newest online coupon app, Coupon Sherpa. I never clip coupons but lately I started using coupon Sherpa a lot. But there has been problem since then. I think my problem at the grocery store is that I walk down every aisle and look at all the deals. I don’t get them all, but I do get some things that are not on my list. Example 1 – We saw a deal 50% off of custom framing orders at Michaels, we framed a cross stitch wall decoration which SMB finished long ago. It costed $80 even after the 50% discount. Now when I think about it, we should have gone to Walmart/Target ready-made frame aisle and would have picked a appropriate sized frame. It’s coupon Sherpa deal that costed us 10 times more money. Example 2 – Coupon Sherpa offered free admission to Sam’s club without being a member for a day. We were thrilled as usually, as we prefer to buy rice, cooking oil, cereals , etc in bulk. We are not members of either Sam’s or Costco. We are not members because we could never saved more than the membership fee without spending on items we generally don’t need. So, one day, armed with the free admission coupon, we went to Sam’s and ended up buying things we never use. At the end we have no clue when extra bottles of tomato sauce, a set of 20 tooth brushes, two big packets of chocolates and a huge sized jumbo shrimp would be used up. And we had to throw cookies out due to fungal infestation within a week, we couldn’t finish the pack timely. Example 3 – We needed a queen bed set for the guest room. Armed with a 20% off coupon at Bed, Bath and Beyond we arrived at the store and ended up buying a lot of things from soap container to table runner. Eventually what was supposed to be picked up from Target at around $80, costed us more than $120 from BBB. If I think it through, this might be the case with many of us. Coupons originally is supposed to save us money, rather what I see – Coupon Sherpa is in-fact costing me more money. This is the basic tenet of everything coupons. Manufacturers and distributors print coupons to facilitate buying, increased spending. It’s also a way of advertisement. The sooner we realize we can use coupons to our advantage. I had become so addicted lately to Coupon Sherpa that while driving, I used to open the app to check near by deals, as if I had too much money to spend in the first place. Without it I had no clue that a great promotion going on at Banna republic. Well great deal, jeans for just $9.99 head over and buy it. When SMB reminded me of the pair of jeans I bought just a month ago, I realized the potent power of this coupon thing. The $20 off on $100 purchase offers makes you spend more to reach that $100 figure. You buy things you have no immediate use for. You may pick up some brands which is costlier than other/store brands just because you find a coupon for it. Coupons may create an artificial need, the experience I faced, and described above. Some of us fear wasting a coupon. Coupon Sherpa is a great tool, it saves a lot time in clipping coupons. If you are in to couponing, start using coupon Sherpa, forget news papers and coupons in your mail box. The app tracks your location and brings all the deals and discounts going on in nearby stores. But, before you develop a habit I did, learn to use it smartly. Buy the things you want to buy in first place and then search for the places offering deals on that item. Suppose you want to buy a pair of jeans. you visit a mall and run the Coupon Sherpa app, it should list deals from all the stores there. So, you are informed and quipped to make a decision as to where to buy it and at what price. Smartphone also come with a price checker app. Those are particularly useful for price check on electronics or, anything which is sold in a box with a bar code attached, from Granola bar to HDTV. You can scan the bar code and run the app to determine which store sells it at least price. You may be like me who didn’t clip coupons before, because it was time consuming to find, tear and store paper coupons. Coupon Sherpa made finding coupons like a cake-walk. As a result, I became a victim, now my job is done that I shared my mistake with you. My other job and liability is towards my own finances, that is to exercise discipline and self-control. Whats your coupon strategy? Are you over spending with coupon or are you using it optimally and buying only the things you need with coupons? This is a post I need to send to my better half. She didn’t understand why I was complaining about her coupons and groupon deals. The fact is now things are on sale or %70 off people are buying things just to buy them. Sure its only $200 vs the 400 but do we need to even spend the 200. I don’t think people in generally buy what they need. They use the sale to justify the purchase which to me is backwards. Did you send it finally? What did she say? I agree that this is easy to do but my wife and I are actually pretty good at avoiding it. We typically only use coupons on items that we were planning on buying anyways. I think it just takes recognition and asking yourself (and answering honestly) whether you really would be buying whatever it is you’re buying if you didn’t have that coupon with you. If the answer is no or maybe, then put it back. Anytime someone tells me they got X product for a certain price, I always tell them I saved the whole amount by not buying anything! It’s only a discount if you were definitely going to buy the product anyway. I’m really bad about buying plugins, apps, and other work-related items when there’s a discount code. And there’s ALWAYS a discount code (usually an affiliate link). Granted, most of the time they’re useful items or products, but that’s not the point. Personally, I don’t use any of the coupon apps or sites. If I intend on going to the supermarket, I’ll quickly look for coupons for the specific products I plan on buying, and if I’m buying something from say Office Depot, I’ll go to the sites to grab a coupon right there. Otherwise, I don’t have a stockpile or binder filled with coupons just waiting to be used or an inbox full of offers calling out to me. Besides, when it comes to my grocery needs, and with a store that doesn’t double coupons, the savings are fairly minimal compared to the amount of time it could potentially take to search. I will try and use coupons for almost anything I buy if they are available. I don’t find myself spending any more money doing so. I do stockpile personal care items because they have such long shelf lives. When I do thins I always buy when they are on sale and a coupon is available. I have a price optimal price guide for this stuff that I use. For example I won’t pay more that $0.50 for a tube of toothpaste. 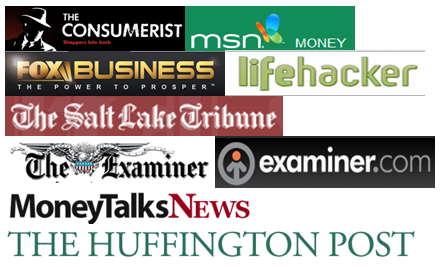 Believe you me with the addition of Groupon, LivingSocial, etc. I’ve become a shopaholic in bed at 6:00am. Just because I can save 50% on a $300 item, doesn’t mean that I don’t have to pay $150 bucks. And, most likely, I’ll want to take someone with me. Online coupons and deals almost make it not really spending, don’t you think? The behavior you outline has been understood by the companies issuing the coupons for decades. Ask yourself why these companies are providing these discounts in the first place. Is it because they want to give you a break? Or is it because they have studied purchase patterns with and without coupons and measured the results and know coupons increase spending? Most of the retailers use heavy duty data mining to track these behaviors like rats in a maze. Only the very disciplined and most frugal come out ahead. HA! You nailed it! Coupons are actually a deception to tempt us into spending. Oh yes, realized first hand! I got a coupon for a free pizza at Pizza Hut and ended up spending more than $20 because I wanted another pizza and some sides. Yes that’s how it goes and that’s why they print coupons.